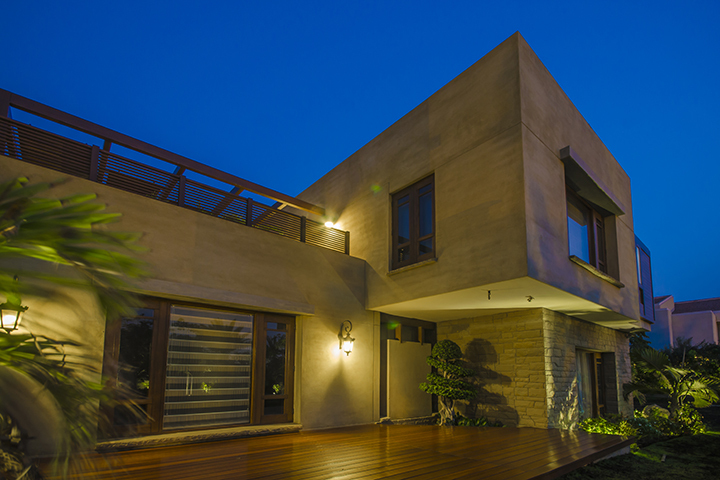 This residence has been designed as three independent units around a large central courtyard. An elegant wood and metal staircase that cantilevers out of the white textured walls is the main architectural element of the courtyard and the skylight above filters natural light into the space. 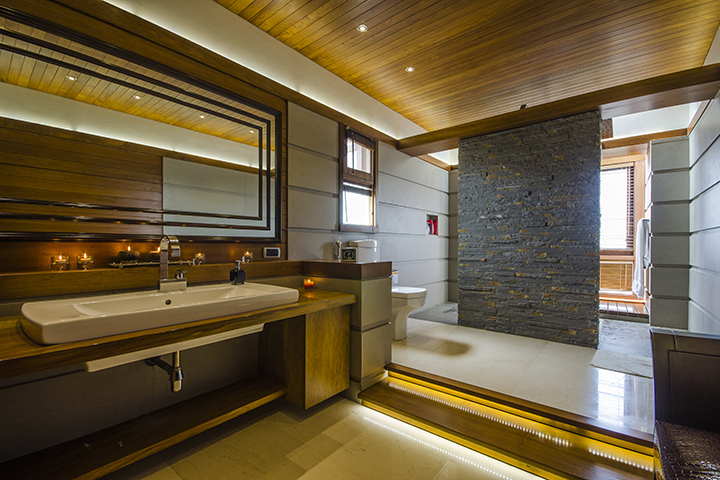 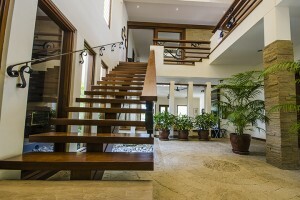 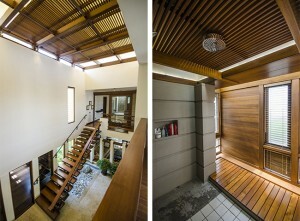 The Interior and exterior spaces blend seamlessly throughout the house. 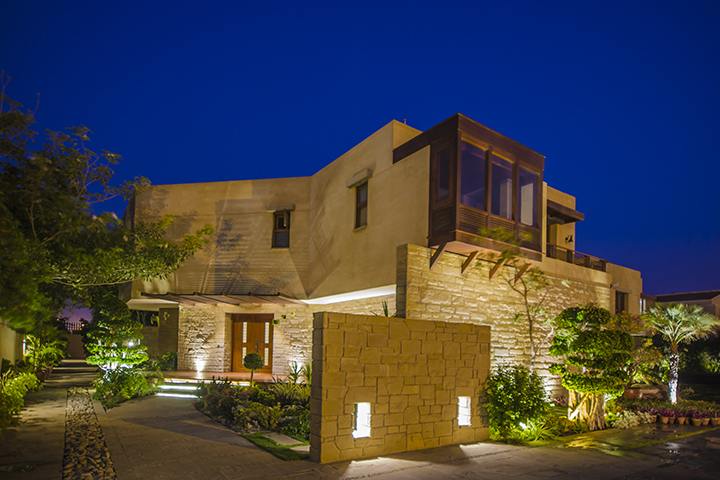 The exterior is defined with architectural features such as timber pergolas, wooden overhangs and stone clad walls. 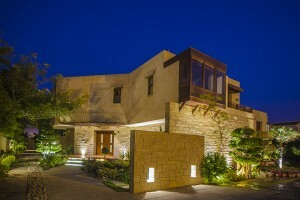 The Landscaping plays a vital role in interconnecting spaces vertically and horizontally.